Emotient which is a facial expression recognition and analysis start-up introduced a Google Glass app which can read facial expressions. Emotient announced a private beta of its Google Glass app and has secured $6 million in financing to extend the use of the technology as of now. 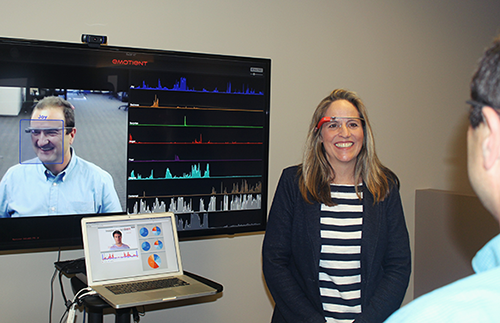 This new app enables Glass wearers to distinguish and then process facial expressions of the people they are looking at. It does not store video or images. The app reads facial expressions and provides a comprehensive emotional read-out on positive, negative or neutral or primary emotions such as joy, surprise, sadness, fear or anger; and advanced emotions like frustration and confusion.